As most of you know, I like to paint things that I’ve seen – things that have spoken to me. This painting is highly personal as I used to live in the brick building in the middle with my fiance, and later, husband (same guy!). 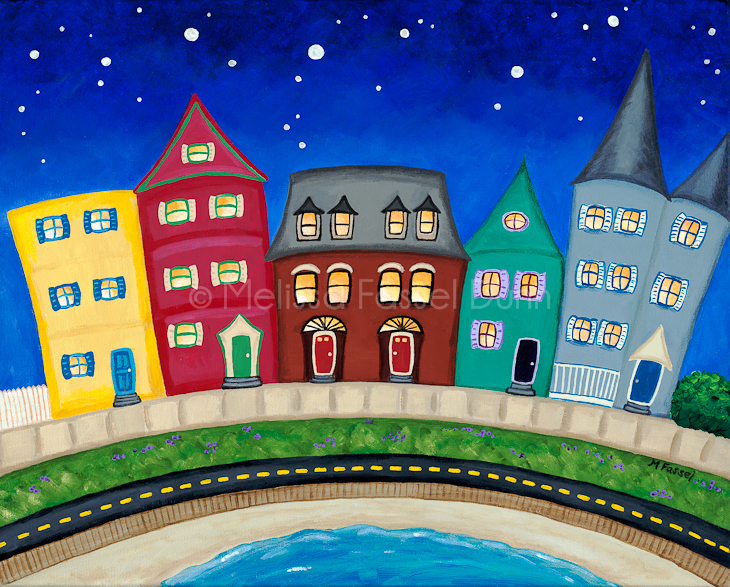 Boston’s neighborhoods are full of triple-decker homes, as you see in this painting. South Boston, easily recognized in Good Will Hunting and Gone Baby Gone, has its fair share, and if you’re lucky, yours overlooks the beach, M. Street Beach, and harbor along Columbia Road. No Yankee fans allowed in this painting!